Garlic is considered to be helpful in preventing heart diseases (including: atherosclerosis, high cholesterol, and high blood pressure) and cancer. Supplementation with garlic extract inhibited vascular calcification in human patients with high blood cholesterol. Aged garlic can have a powerful antioxidant effect. Antioxidants can help to protect the body against damaging free radicals. Because of its antibacterial effect, garlic is treated for flu and colds, and is easily applicable cure in other discomforts. 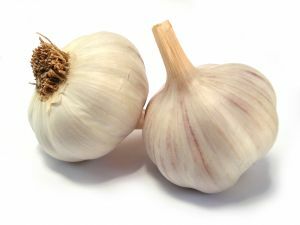 -One of the benefits of garlic is: “working” for our beauty, i.e. its juice cures the acne and the appearance of blemishes. Smash two cloves of garlic and put them on the inflammation. The results will be visible after a few minutes, after the swelling around the blemishes would “calms”. -Herpes is a viral infection of the mouth which is very unpleasant appearance. Don’t panic, it’s easy curable. Just put a piece of garlic and hold directly on the sore spot about 10 minutes. For good results you should do this five times a day. -Garlic helps to treat inflammation of the ear, and the recipe is quick and easy. In a tablespoon with hot olive oil, add smashed garlic and let it for about an hour. Twice a day put a few drops of this tincture in your ear. The inflammation will be cured in a few days. -When a small piece of wood get under the skin, sometimes is difficult to remove, but with the help of garlic placed on the sore spot and covered with plaster, the tiny piece of wood will quickly “swim to the surface”. -Garlic is known for its outstanding effect on hair recovery, because of its high percent of b6 vitamin. Several small-scale clinical studies have shown positive results with vitamin B6 as a hair growth agent. So if you have this problem, massage it with garlic oil few times a week and let it act for 10 minutes. 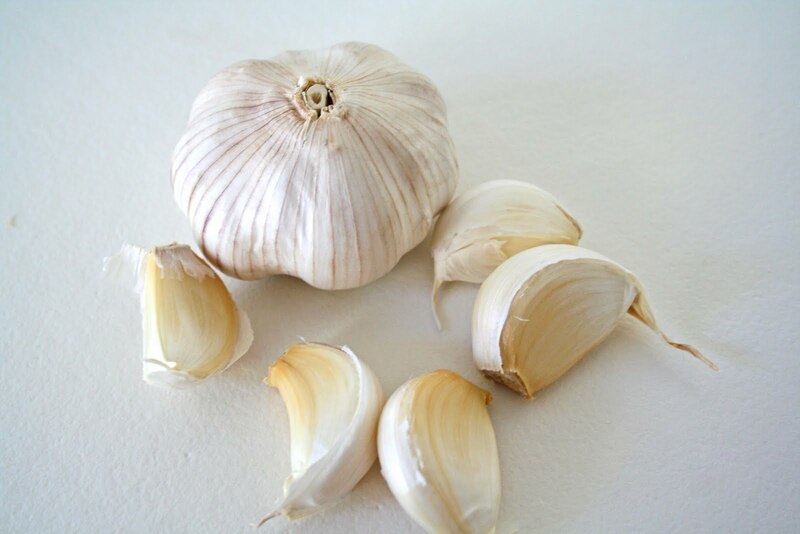 -Garlic acts as an antibiotic and can prevent the cough. Two cloves finely chopped garlic, add in a 100ml/ 0.42 cups of boiling water. Wait a few minutes and then drink it as tea. -- Allicin is a compound in garlic which softens the skin. Add little smashed white onion in your face mask, hold it a few minutes longer than usual and rinse with lukewarm water. Clear tan and fresh look will be the result of this procedure. -- Despite bad breath, eating too much raw garlic could produce problems, for example irritation of or even damage to the digestive tract. -Some people are allergic to garlic. 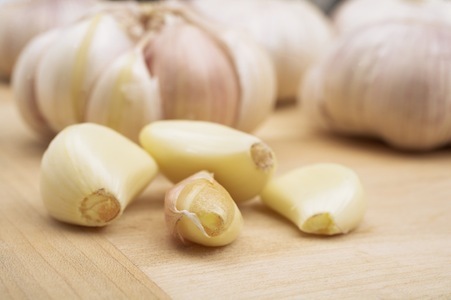 Symptoms of garlic allergy include skin rash, temperature and headaches.